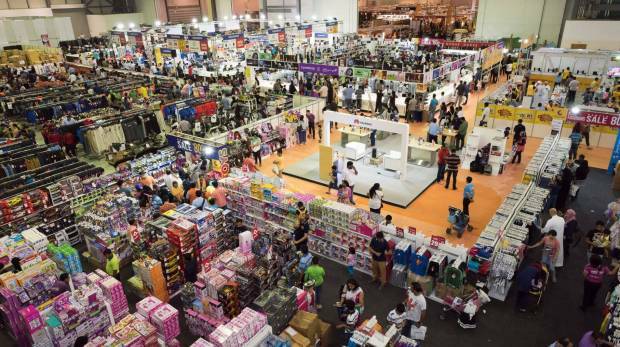 Dubai: The doors to the 17-day mega sale in Sharjah, the headliner for the annual Ramadan Nights, will open later today at the expo centre and bargain hunters are assured that they can score up to 80 per cent discount on goods from more than 100 brands. Up for grabs will be discounted smartphones and electronics, home appliances, clothes, shoes, bags, eyewear, perfumes and jewellery, and participating merchants will be offering a varied range of products from affordable to luxury labels. Among the confirmed brands and retailers are Guess, Gant, Nine West, Naturalizer, Aigner, Skechers, Kenneth Cole M&Co, Escada, Asics, La Senza, Timberland, US Polo Assn, Bosch, Jumbo Electronics, Carrefour, Grand Stores and BHS, among others. “You can see every leading retailer in the region and choose from over 100 brands. And each of them is showcasing the most in-demand electronics, fashion and household products at much lower prices not available anywhere else now. It’s nothing short of a mega sale,” organisers said in a statement. Visitors to the show can also expect to enjoy a variety of activities at the gaming area. They can also sample dishes from unique pop-up restaurants, food trucks and stalls at the food court. “The show is a complete family event,” said organisers.